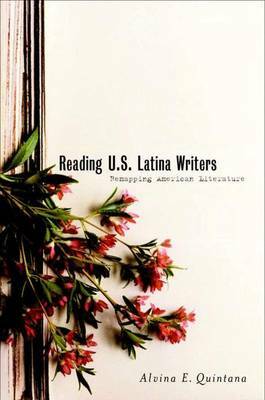 This essential teaching guide focuses on an emerging body of literature by U.S. Latina and Latin American Women writers. It will assist non-specialist educators in syllabus revision, new course design and classroom presentation. The inclusive focus of the book - that is, combining both US Latina and Latin American women writers - is significant because it introduces a more global and transnational way of approaching the literature. The introduction outlines the major historical experiences that inform the literature, the important genres, periods, movements and authors in its evolution; the traditions and influences that shape the works; and key critical issues of which teachers should be aware. The collection seeks to provide readers with a variety of Latina texts that will guarantee its long-term usefulness to teachers and students of pan-American literature. Because it is no longer possible to understand U.S. Latina literature without taking into consideration the histories and cultures of Latin America, the volume will, through its organization, argue for a more globalized type of analysis which considers the similarities as well as the differences in U.S. and Latin American women's cultural productions. In this context, the term Latina evokes a diasporic, transnational condition in order to address some of the pedagogical issues posed by the bicultural nature which is inherent in pan-American women's literature.